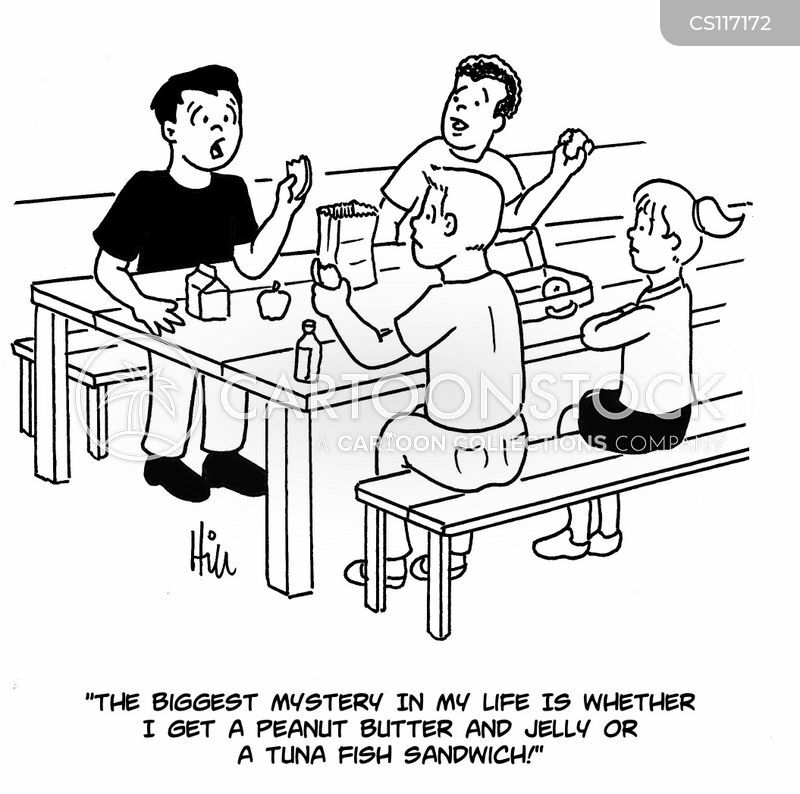 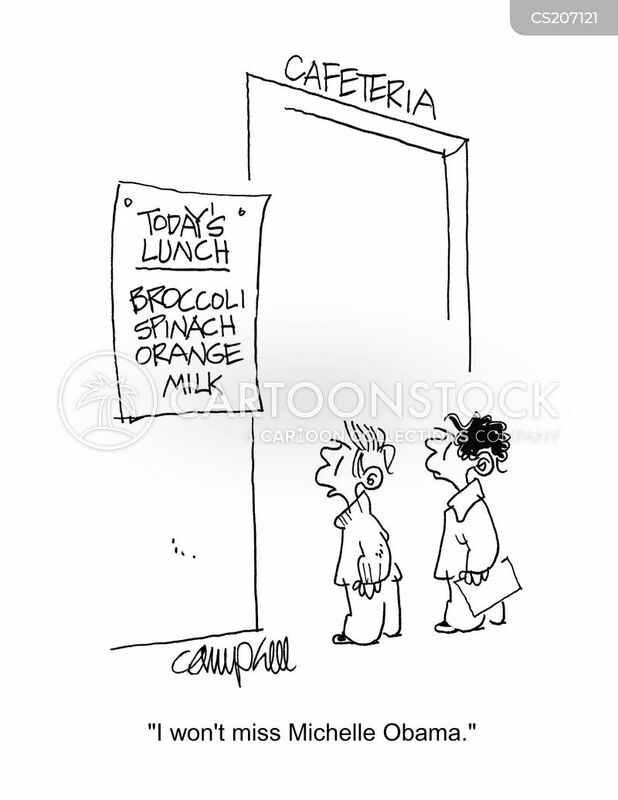 Thanks to her new food-breath analyzer Cheryl could find out what her kids really had for lunch. 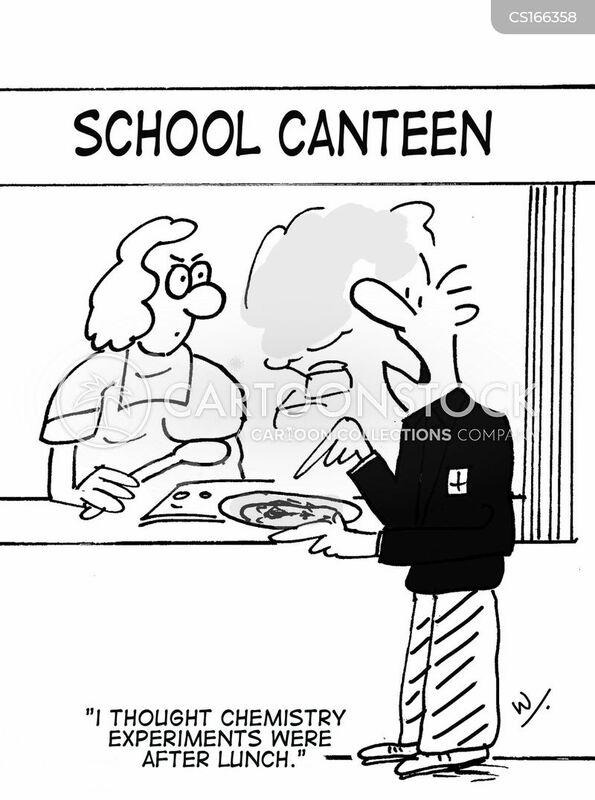 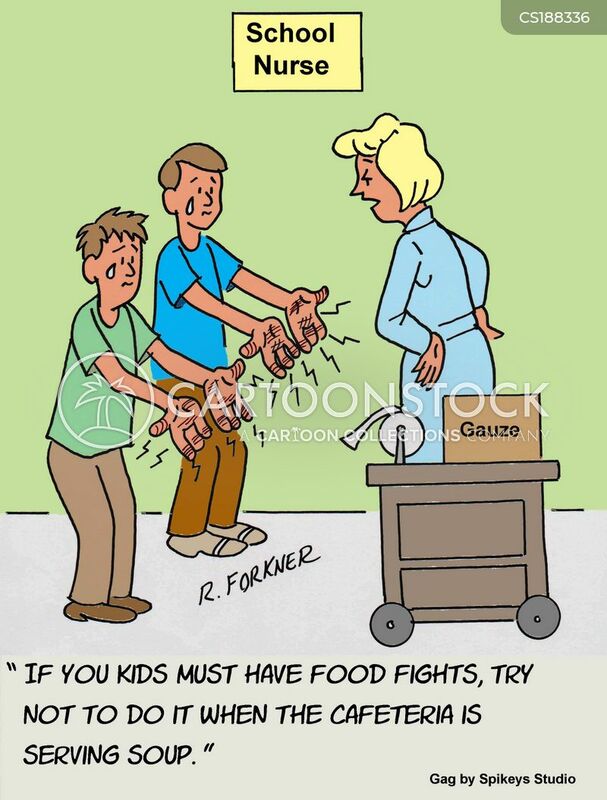 "If you kids must have food fights, try not to do it when the cafeteria is serving soup." 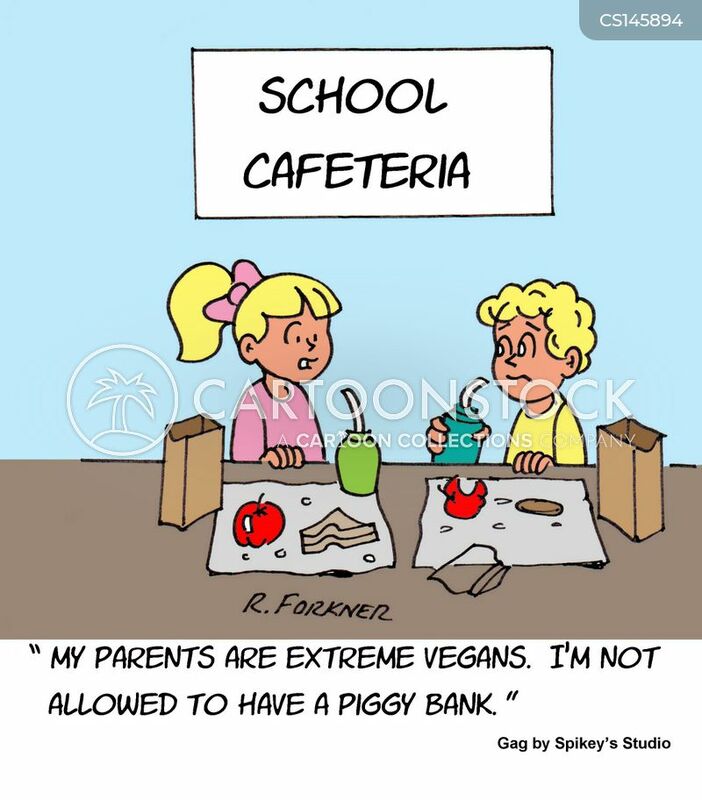 "My parents are extreme vegans. 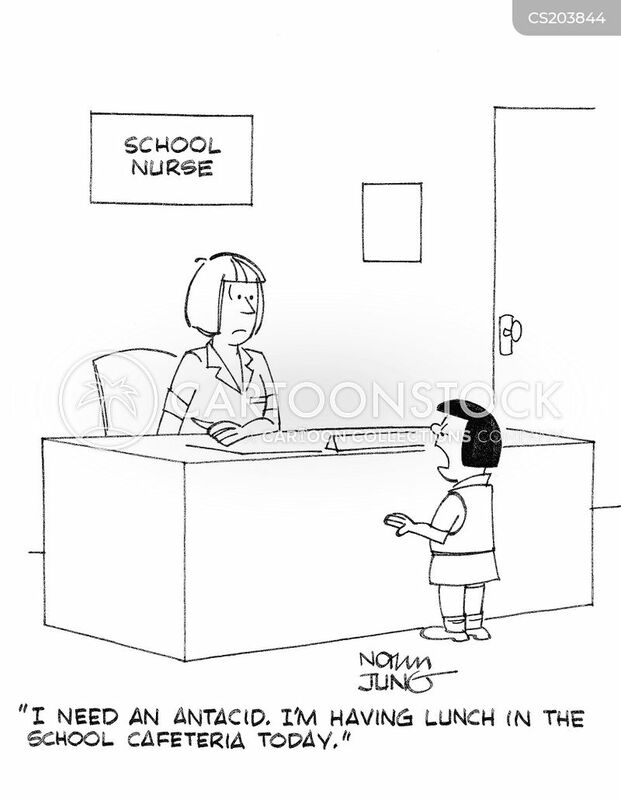 I'm not allowed to have a piggy bank." 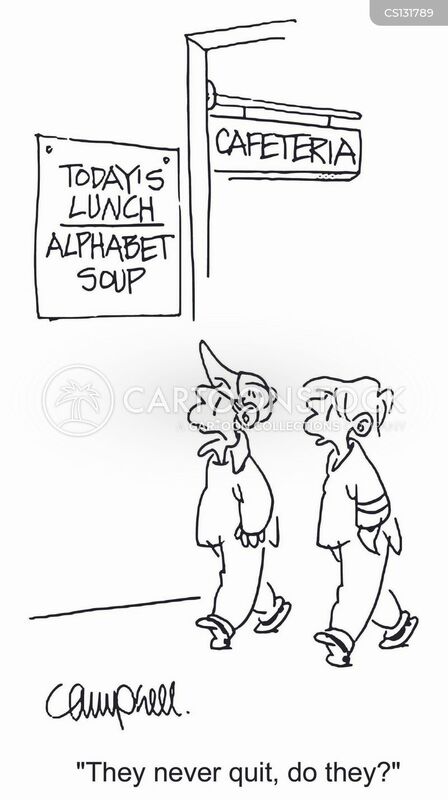 "She said it's not the same old alphabet soup, this one has a new font." 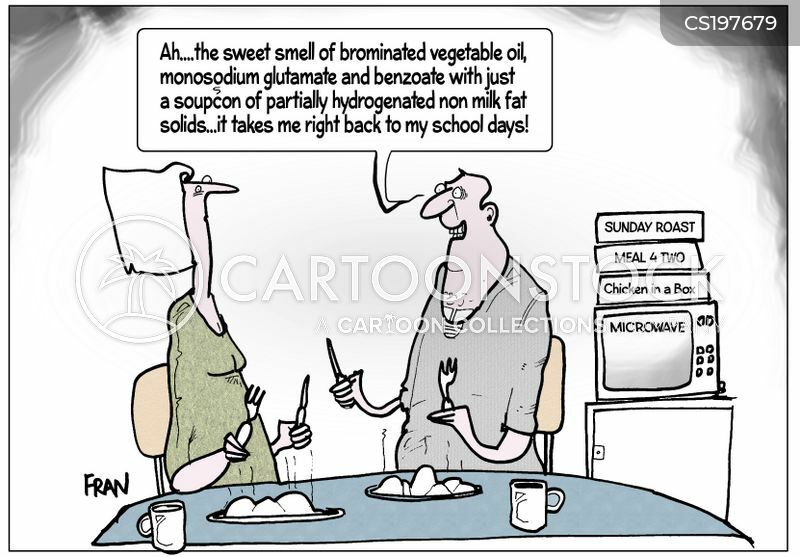 "Ah...the sweet smell of brominated vegetable oil...it takes me right back to my school days!" 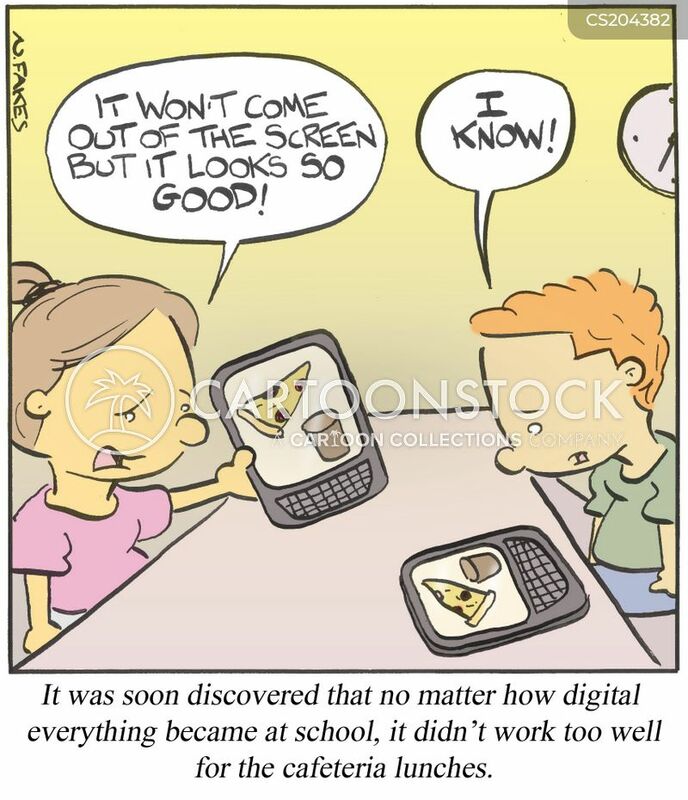 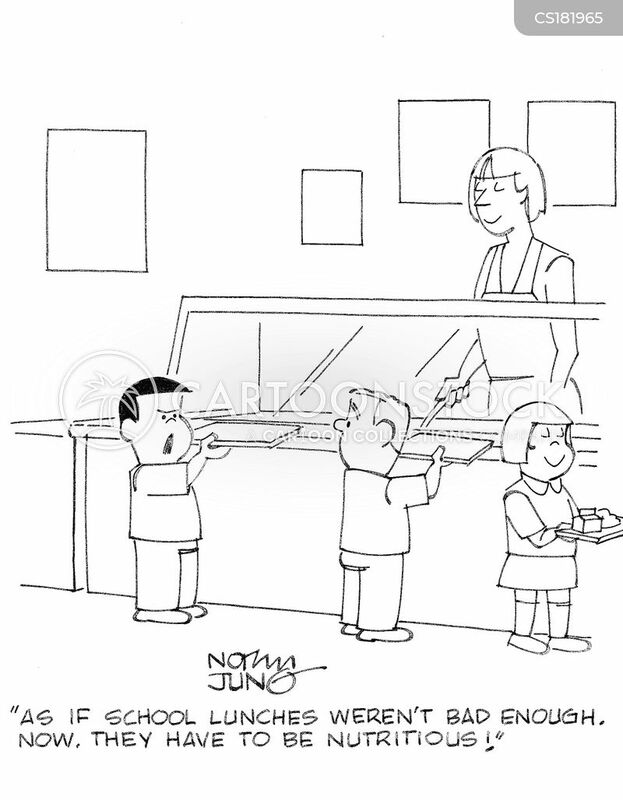 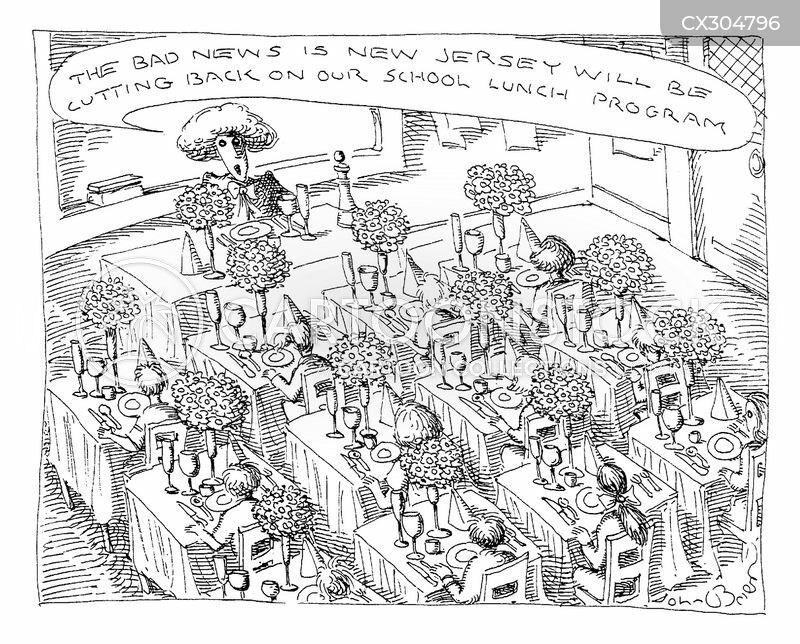 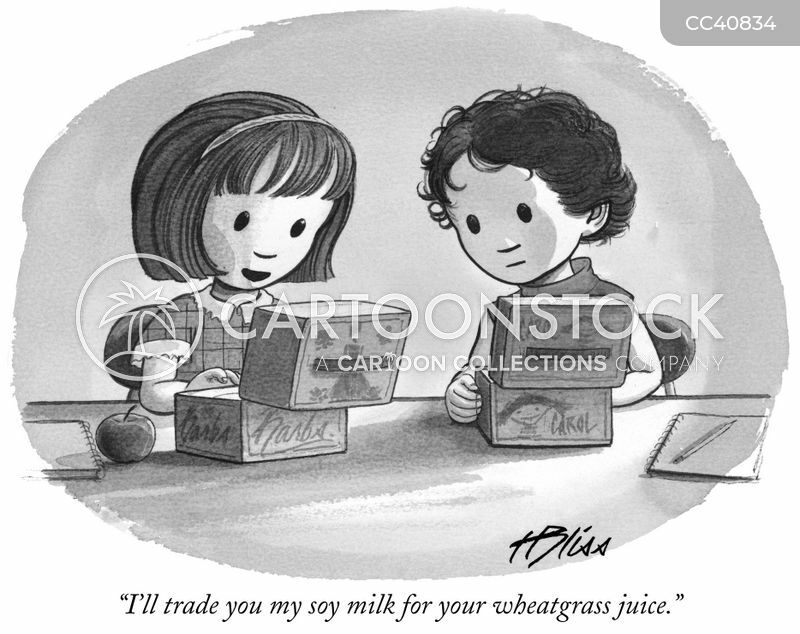 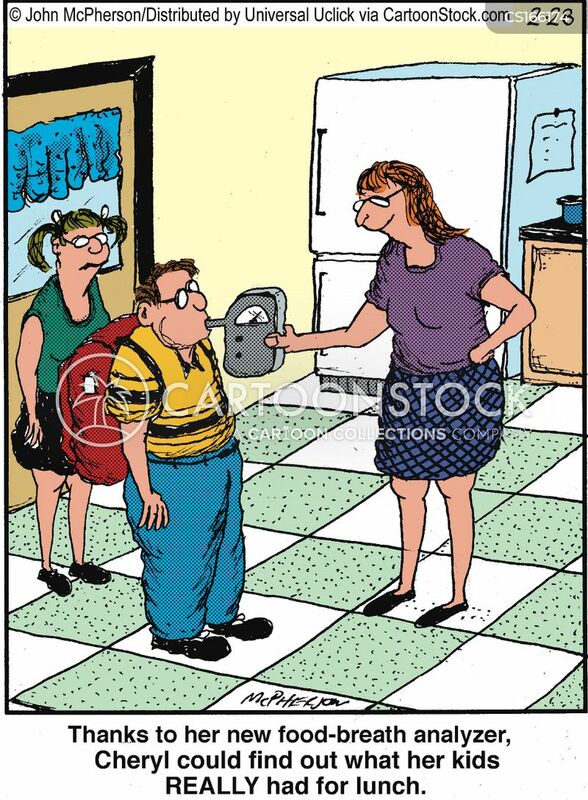 It was soon discovered that no matter how digital everything becaue at school, it didn't work too well for the cafeteria lunches. 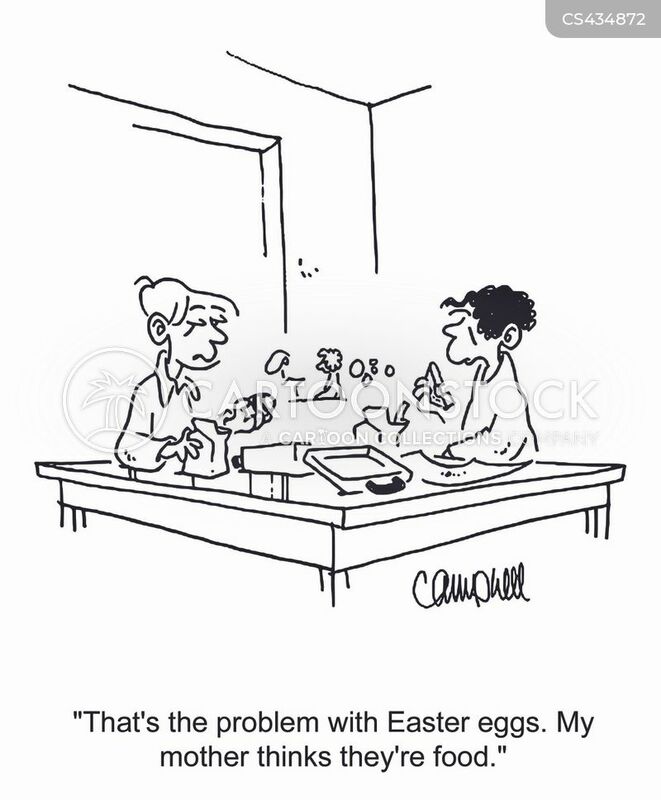 "That's the problem with Easter eggs. 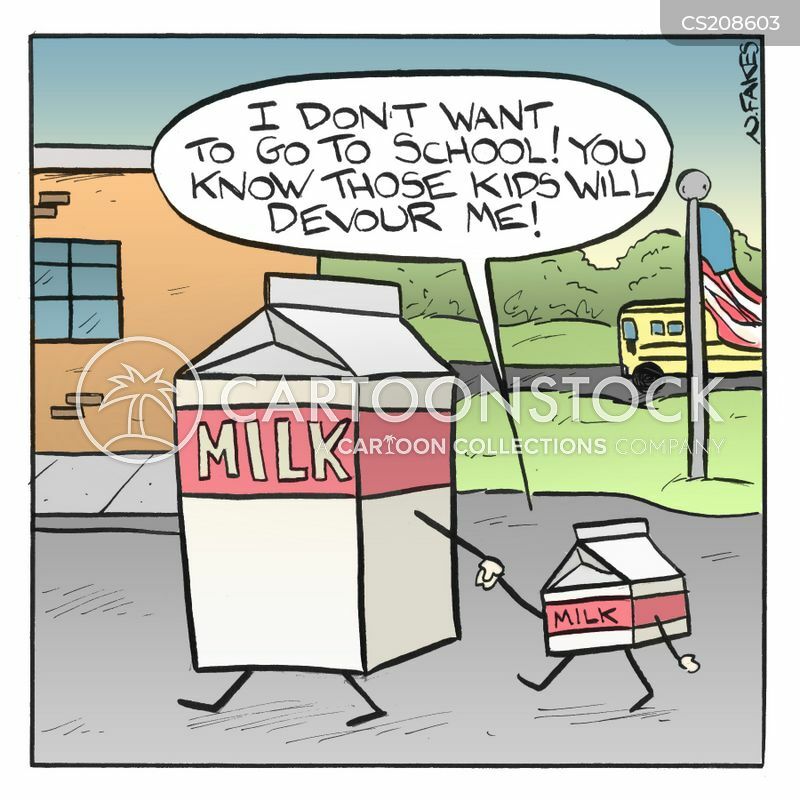 My mother thinks they're food." 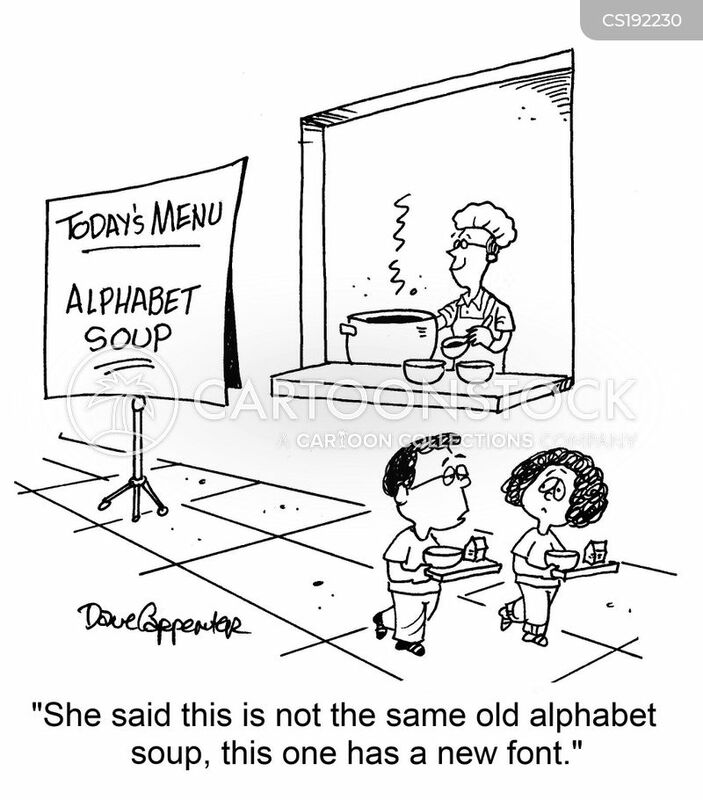 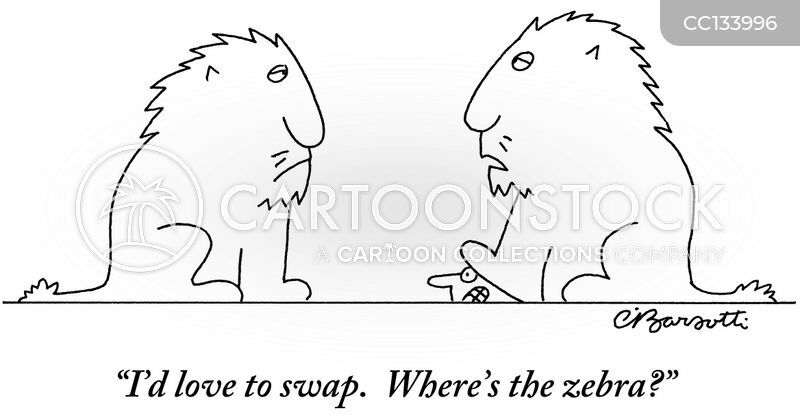 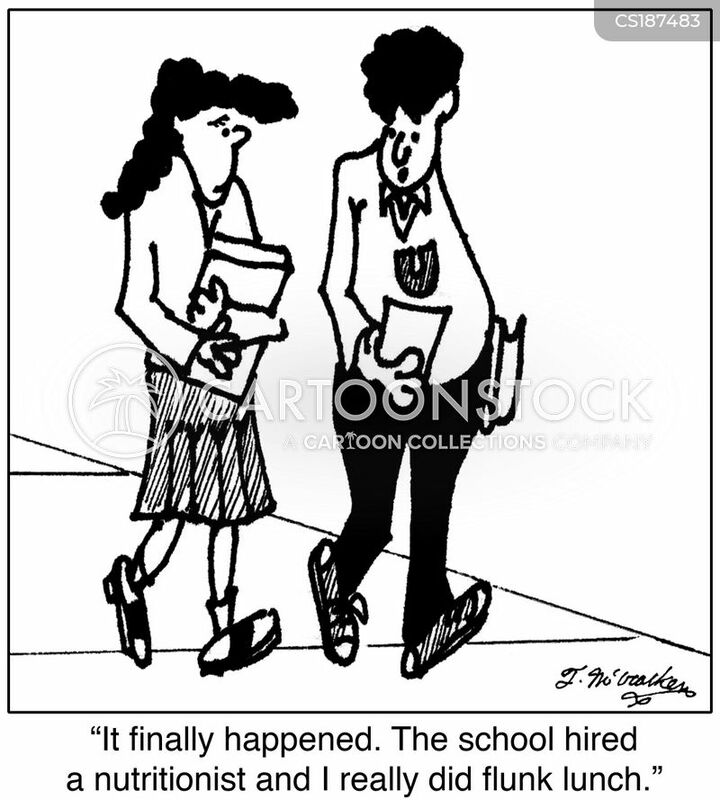 "She said this is not the same old alphabet soup, this one has a new font." 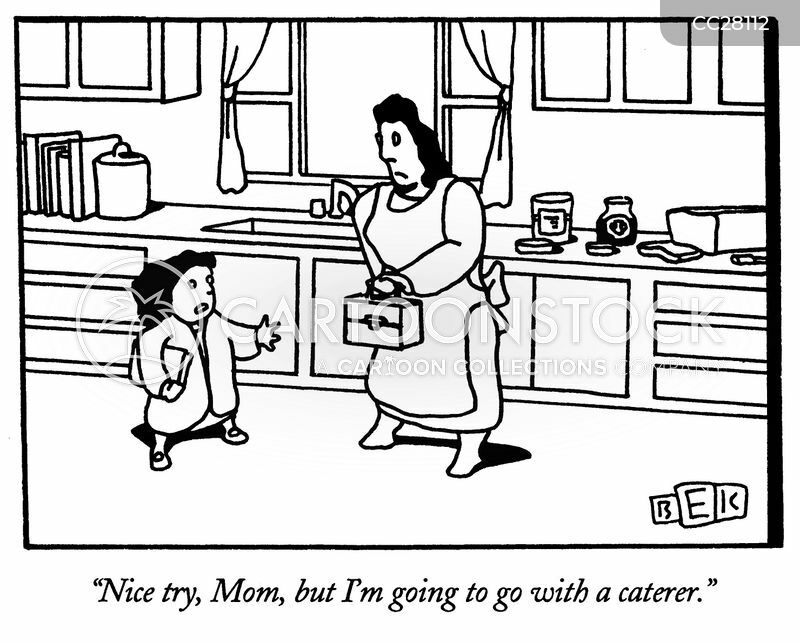 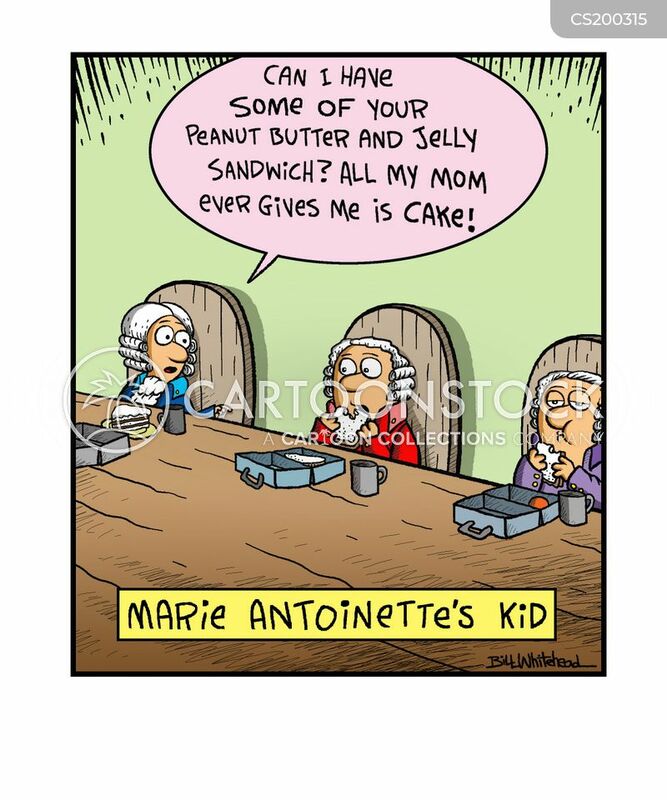 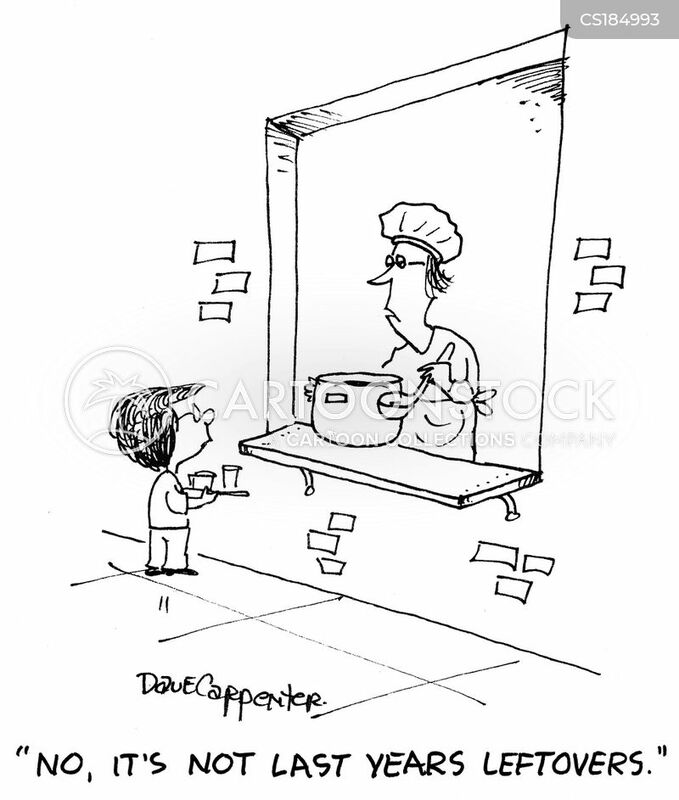 "Nice try, Mom, but I'm going to go with a caterer." 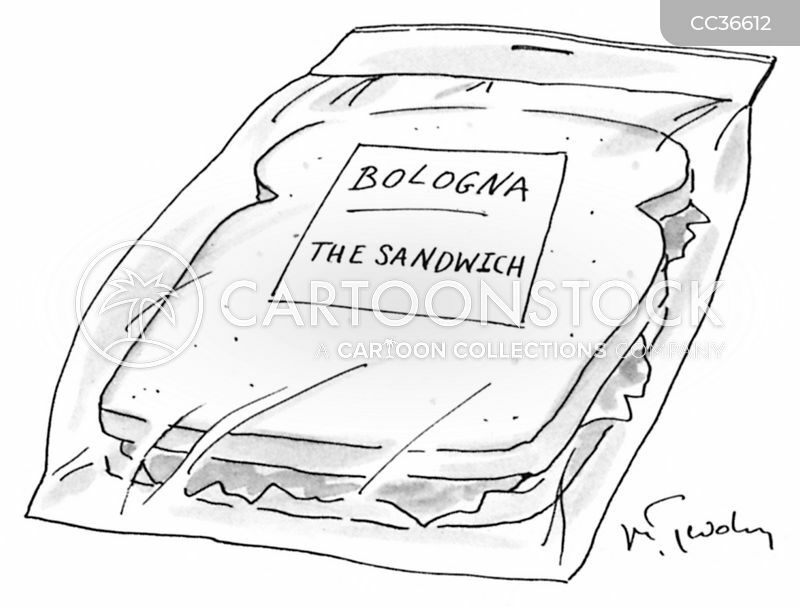 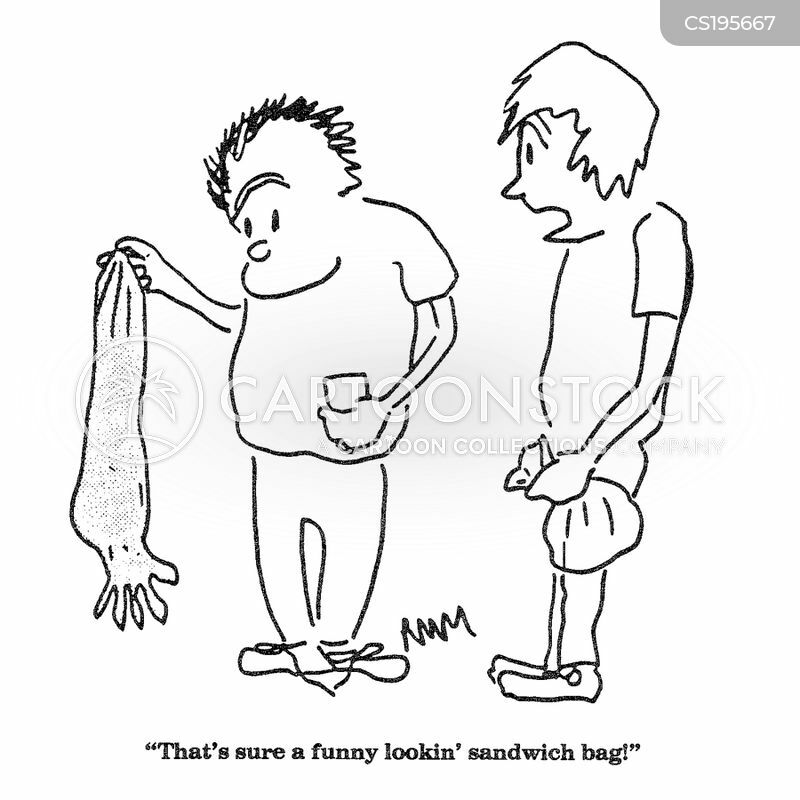 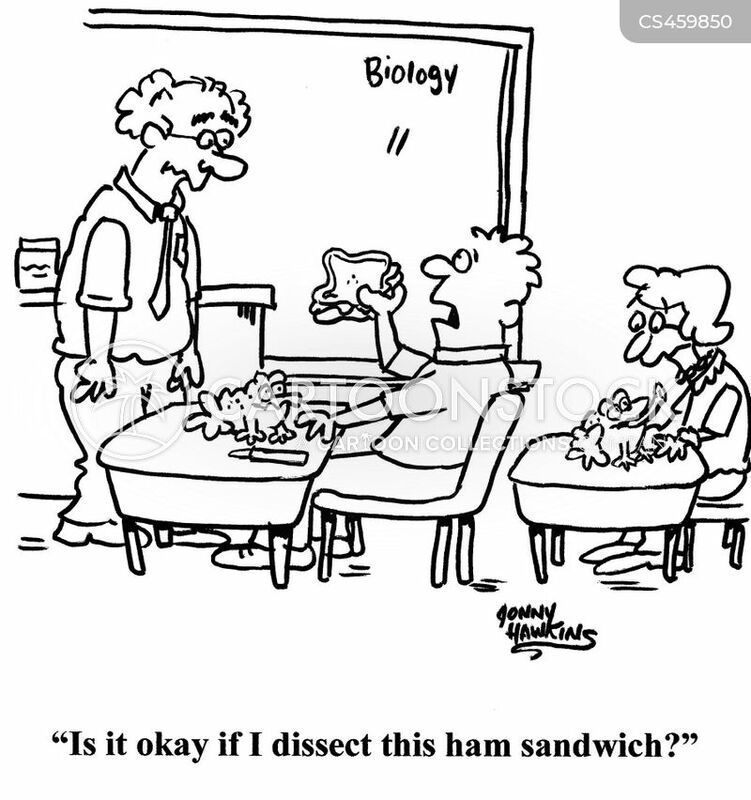 "Is it okay if I dissect this ham sandwich?"